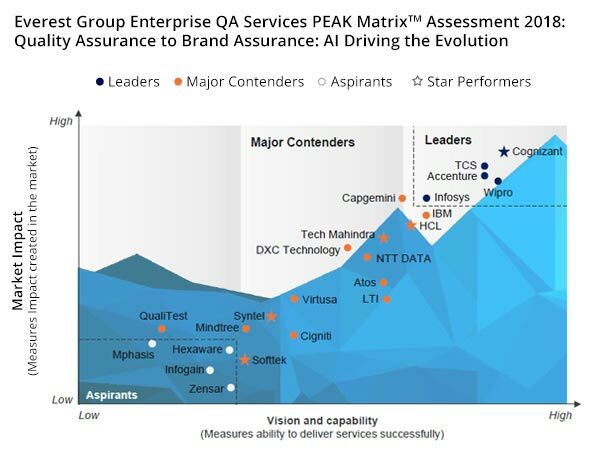 Cigniti is positioned as “Major contender” in Everest Group PEAK Matrix™ Assessment 2018: Quality Assurance to Brand Assurance: AI Driving the Evolution. This report analyzes the changing dynamics of the QA landscape and assesses service providers across several key dimensions. As a part of PEAK Matrix, Everest Group analyzed 22 leading service providers on the Everest Group Performance | Experience | Ability | Knowledge (PEAK) Matrix specific for independent testing services into Leaders, Major Contenders, and Aspirants. The PEAK Matrix is a composite framework that provides an objective, data-driven, and comparative assessment of independent testing service providers based on their absolute market success and delivery capability. 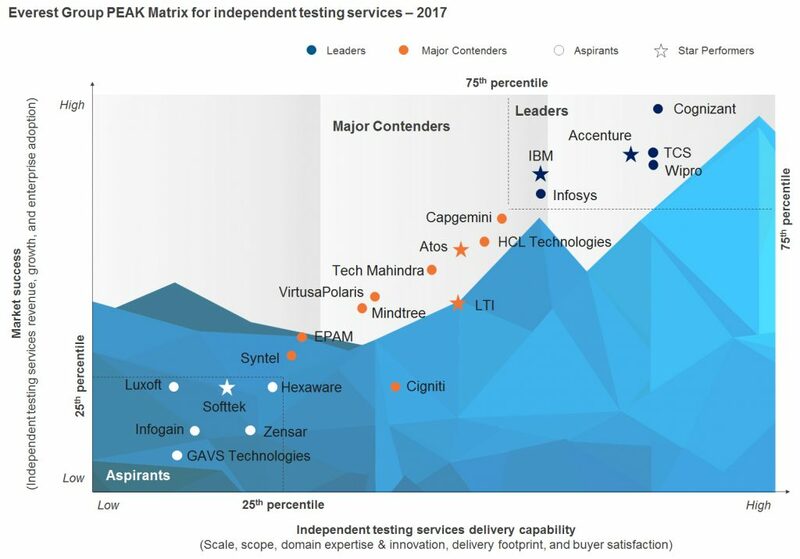 The Independent Testing Services – PEAK MatrixTM Assessment and Profile Compendium 2015 that mapped 23 leading service providers on the Everest Group PEAK Matrix for independent testing services has placed Cigniti as a Major Contender in the field, and awarded it the Best in Class Service Provider for Buyer Satisfaction.